Use it for 30 full days. 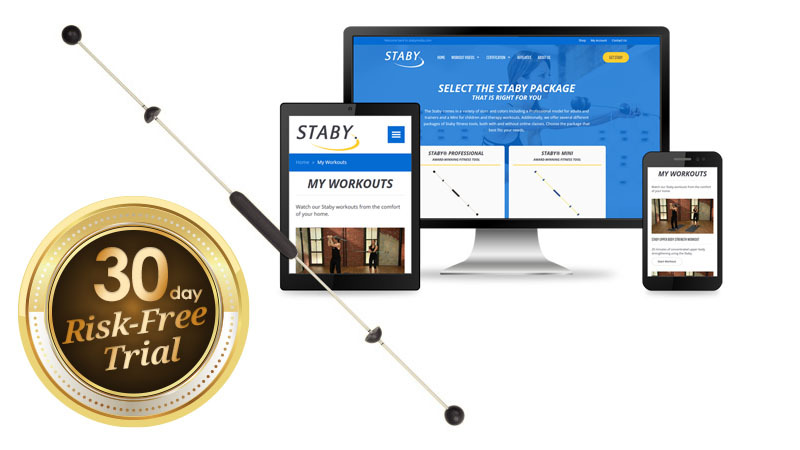 If you decide to keep the STABY after the 30-day trial, you will only be billed an additional $149 (and that special price includes up to $435 in additional immediate and future online education, workouts and discounted merchandise savings.) You will also be enrolled as a STABY affiliate and will make ongoing commissions from the purchases from any client you recommend to us. Use it for 30 full days. 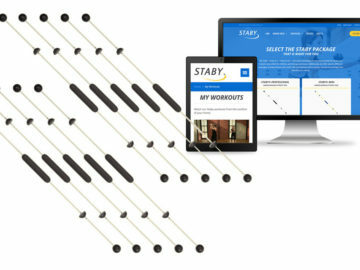 If you decide to keep the STABY after the 30-day trial, you will only be billed an additional $149 (and that special price includes up to $435 in additional immediate and future online education, workouts and discounted merchandise savings.) You will also be enrolled as a STABY affiliate and will make ongoing commissions from the purchases from any client you recommend to us. TO INSURE YOU WILL HAVE A FULL 30 DAYS TRIAL AND STILL HAVE TIME TO RETURN IT TO US AND CANCEL, WE WON’T SCHEDULE ANY ADDITIONAL FEES UNTIL AFTER 45 DAYS.